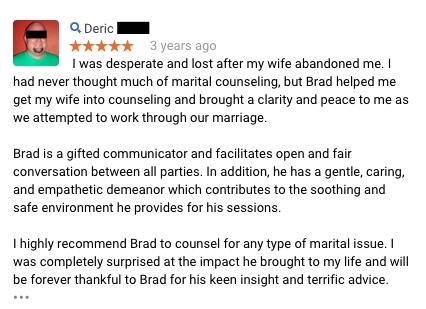 Marriage counseling, affair recovery, communication, trust, and intimacy help for couples wanting to save their relationship and heal from relationship injuries. We are located in Tulsa, OK and Oklahoma City, OK. Visit our website or call us at 918-281-6060 for more details! Can you lead a horse to water AND teach it to drink? What To Do When Your Therapist Tells You To "Just Get Over It"
Can you just get over the affair? What to do when you get bad advice from a professional counselor or pastor. Click Below Free Videos, & Your Personalized Plan Today! Are you hurting? Is your relationship struggling? Are You Feeling Distant Or Hurting in Your Relationship? Don't Waste Valuable Time Or Money With Something That Won't Work. 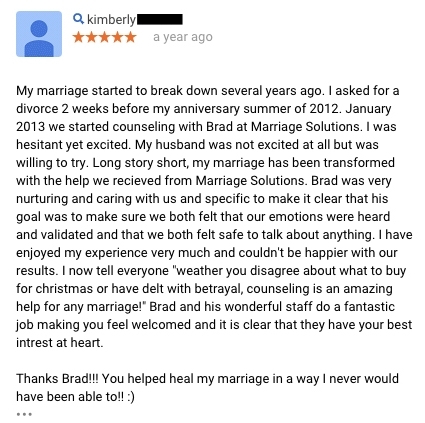 Come to the Best Reviewed Marriage Specialists In Oklahoma. The First & Only Group Practice Truly Focused On Helping Couples Heal. Maybe You Fight, Or Maybe Not - But You Don't Feel Close? We Offer You Proven Results. 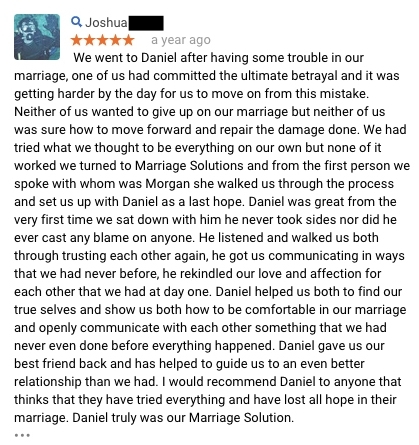 Our team has helped hundreds of couples successfully navigate their relationship issues even when no one thought it was possible. Is Your Spouse Telling You They're Unhappy and You Don't Know What To Do? Find Happiness in Your Relationship Faster and Save Money with Us. See results sooner rather than later through weekly, extended sessions, & 2-5 day relationship intensives. You don't have to wait years to find relief. Our clients see results quickly and travel from around the world to work with us. Do You Feel Frustrated In Your Marriage? We are True Specialists. Our team commits 100% of their time to helping couples. Why go to a "generalist" for something as important as your relationship? Are You Hoping to Start Your Marriage Off On the Right Foot? We Have Extensive Training. We employ the best methods for helping couples. We regularly travel around the country consulting with the top couple therapists in the U.S. and Canada. Are You Afraid that You'll Be Labeled the Problem? We are unbiased and a safe place for both partners. Our commitment is to individualized care that is considerate of your needs. 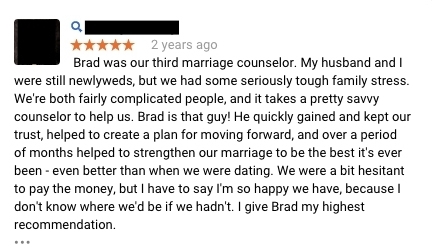 We are your relationship advocate. You've Been to Counseling Before & Weren't Satisfied? We Are Often the 3rd and 4th Therapist for Couples. 30% of our clients have seen a couple's therapist who could not help them before they came to see us. Do You Get Caught Up in the Same Arguments Over & Over? We Are the Only Group Private Practice in This Area of the Country 100% Devoted to Couples Therapy. Receive the latest and greatest in expert care. The closest practice like ours is in Houston, Denver, San Diego, or Ottawa Canada. These 6 Modules help you understand the blueprint to having conversations that lead to real change and HEALING. 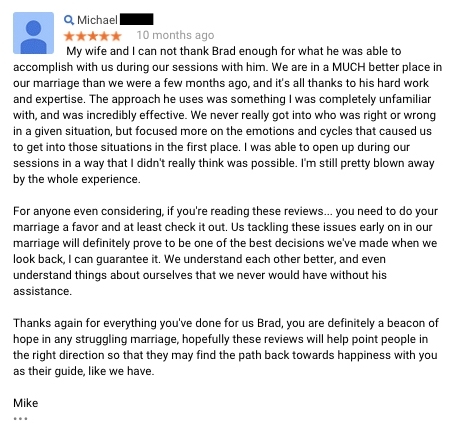 Counseling offers the experience of change in real time and a program like this allows you to understand the rules that lead to relationship health that we don't have time to cover in the sessions. Couples work is hard when one person is checked out of the relationship and unwilling to show up to sessions. That's when a program like this can empower the partner who is standing strong in the relationship to make changes. The goals here are to help re-engage the checked out partner and to build the confidence of the strong partner. This program is for individuals in a situation where their partner has filed for divorce or left for the affair partner. This partner has physically and emotionally left the relationship but there is some contact. This program offers useful strategies for re-engaging a distant partner. Once you win them back then you'll want to set up counseling or coaching. If you've experienced betrayal in your relationship it can be really hard to trust again. That is why we have created this roadmap to help you fully heal after broken trust. It's 24 lessons that walk you through many of the hurdles of the recovery process. It's based on the #1 podcast in iTunes for affair recovery called Healing Broken Trust and more than a decade of our research. Being in a difficult marriage or relationship can be hard on us personally. If things are not good between us and our partner we often feel alone, hurt and sad. Sometimes we fight about everything and can't stop fighting about unimportant stuff or we feel like we are always being ignored by our partner. We want to have what we had early on in our relationship. Your situation is never hopeless, even if only one of you wants to work on it. We've worked with couples and individuals who've seen dramatic turn arounds. These were couples that may be just like you, in situations very similar to the one you're in. We've posted on our testimonials page some of the more dramatic turn arounds we've had to let you know its never over. For some of you reading this your situation isn't this bad yet, and for others of you, you are living in a nightmare. So check those out, I think you'll find you've come to the right place. Our approach is non-judgmental. 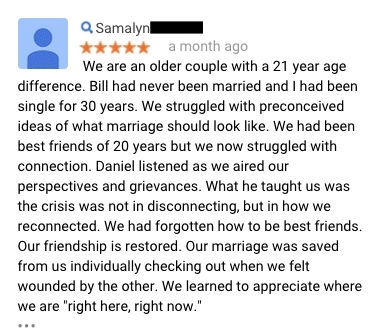 You should start experiencing improvements early on that let you know we are on the right track to improving your marriage. If you have questions you can feel free to contact us directly or view our FAQ's and Resources page. We also have a blog section that includes helpful articles. 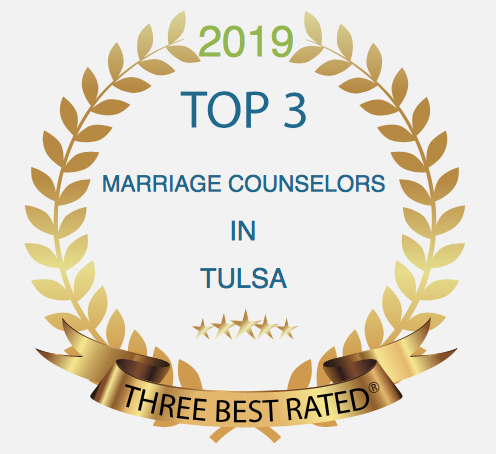 At Marriage Solutions, we have locations in Tulsa and OKC so no matter where you live, you can find the help that you need. Internationally Renowned Affair Recovery Expert Brad Robinson in Tulsa, OK! Learn More, Get Started, Click Here!